Ask tech enthusiasts about the best wireless speakers, and chances are you’ll get the same set of answers: the Sonos Play:5, Google Home Max, and, Apple HomePod. These are the tech industry stalwarts, and truly solid speakers, but ones designed with convenience as an equal priority as sound quality. 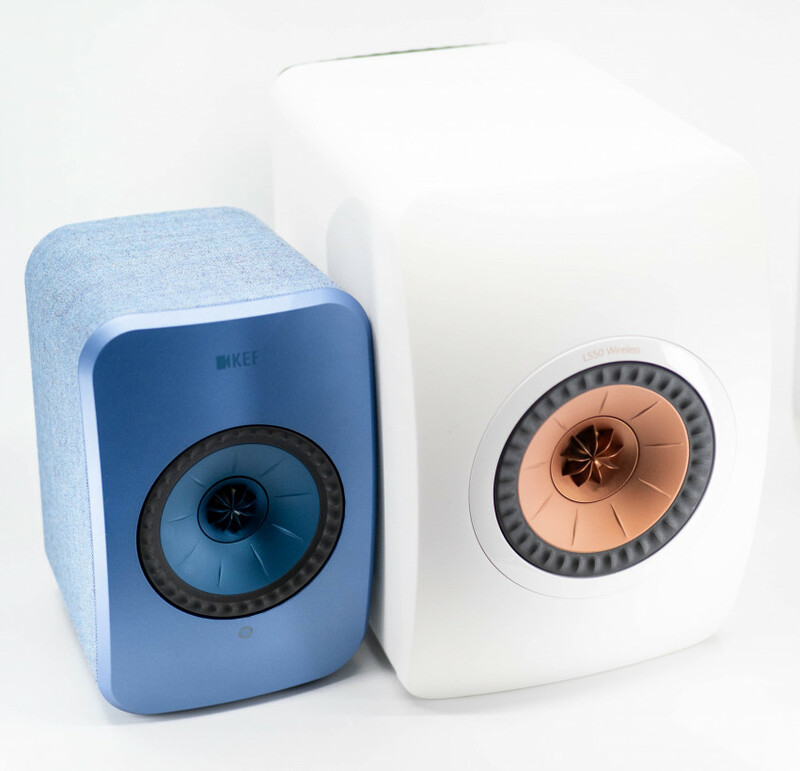 Ask the audio enthusiasts and one answer will likely reign: KEF’s LS50W. 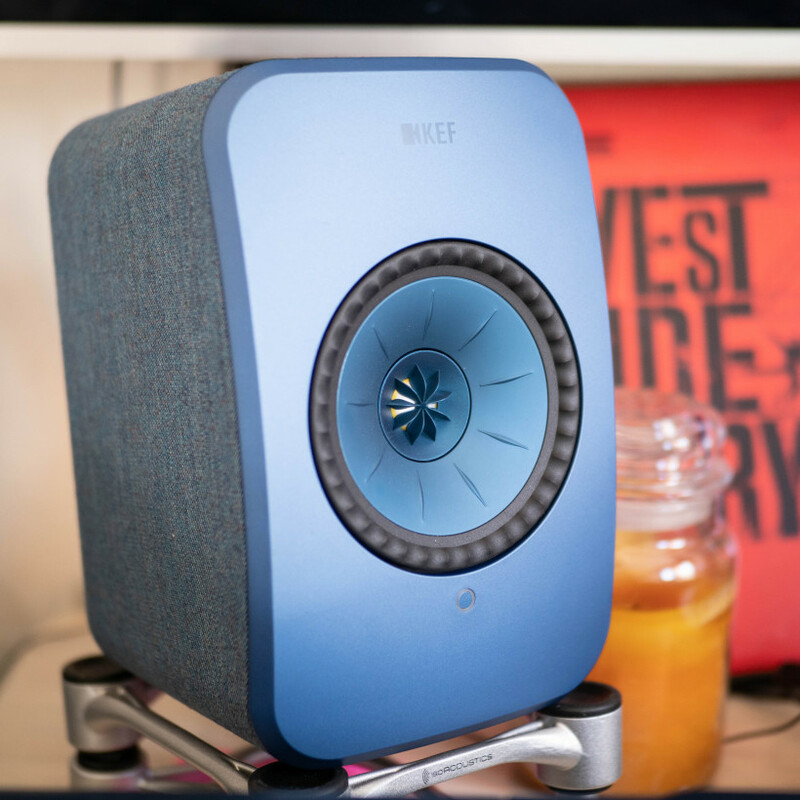 Launched in 2016 as a wireless upgrade to the LS50 – already an audiophile favorite – it has become the defacto standard among high-end wireless speakers. It’s not as intuitive as, say, Sonos, but almost a year after I reviewed them, no wireless speaker I’ve tested has really come close. That is, until KEF launched the LSX. See, the LS50W had two big problems. First, it cost $2,200 a pair. Many audiophiles considered it a relative bargain, but that’s still an unreasonable price for most people. Second, the speakers weren’t quite as wireless as their name implied. Unavoidable power cables aside, they also required an Ethernet cable between the two speakers for stereo to work. They were only “wireless” in their inclusion of Bluetooth and WiFi playback. The LSX fixes both of these issues. For $1,100 it gets remarkably close to the LS50W, it is truly wireless, and it handily outperforms any of the aforementioned ‘techy’ speakers. It costs just a little more than a pair of Sonos Play:5’s, but to my ear, it’s an obvious improvement. Surprisingly, it even surpasses its bigger sibling in some listening scenarios – but more on that later. Mind you, it does all this while being a third the size of the LS50W, or about half the size of a Sonos Play:5. It also comes in a bunch of pretty colors: red, green, blue, charcoal, and white. I’m particularly fond of the blue, because there should be more blue gadgets in the world. Most of the colors are covered in a fabric material that looks oh so aesthetic, but you can opt for the glossy white if you’d prefer something more traditional. I was a little worried about the textile durability, but I didn’t notice it degrade over a month of use and a fair bit of moving the speakers around. You might just want to keep them away from scratch-happy cats. I appreciated the LS50W’s wealth of input options, and the LSX mostly follows suit. Where the Sonos and Home Max only have a 3.5mm aux port and Wi-Fi, the LSX has Aux, Optical, and Bluetooth AptX in addition to WiFi playback via Spotify Connect, Tidal, or Apple AirPlay 2. I am a bit disappointed by the lack of Google Cast, especially considering both Spotify and Tidal support cast anyway. It also would’ve made it easy to use the LSX in a multi-room setup. 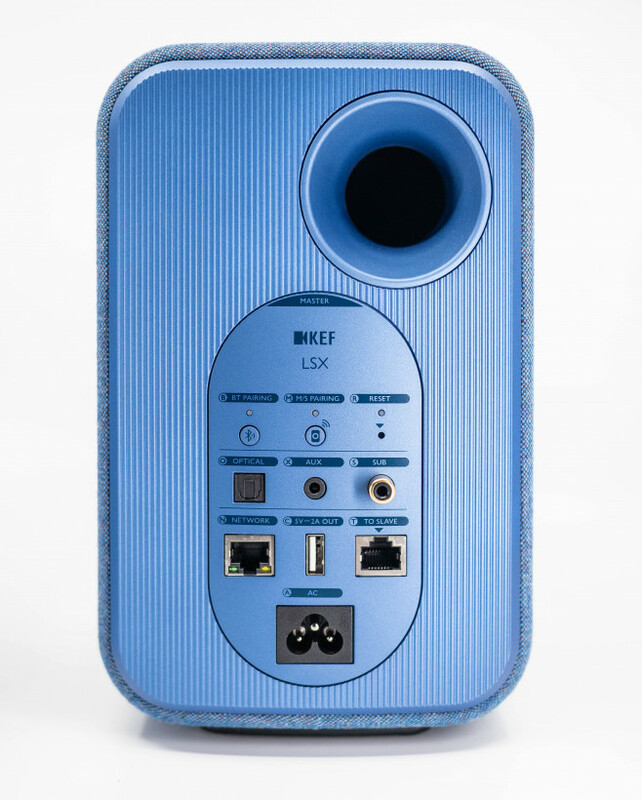 But KEF partly makes up for it by including a USB-A charging port. That means you can attach a Chomecast Audio, Amazon Echo Dot, or other dongle without needing another power brick. That said, I also miss the inclusion of a USB audio port for connecting to your PC, given the LSX are the perfect size for desktop use. Another frustration: unlike the LS50W, the LSX has no buttons for adjusting volume, changing inputs, or even turning the speakers on and off. 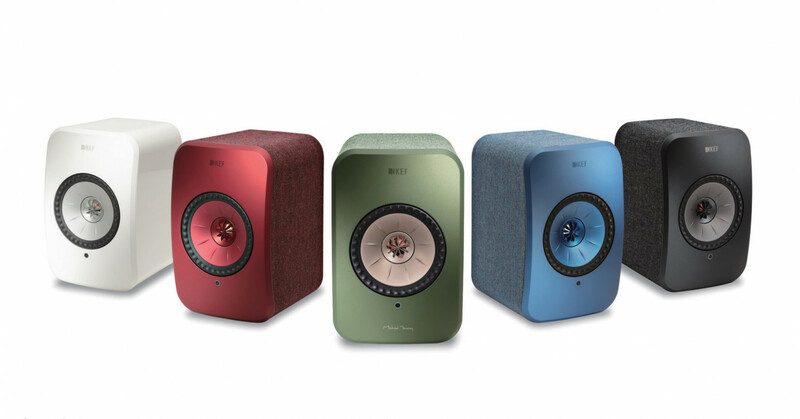 Continuing an awful design trend, you are forced to use either KEF’s app or the included remote control you will inevitably lose. Once I accidentally created an awful ground loop with the speakers near 90 percent volume, blasting an ungodly buzz loud enough my whole building to hear. With my phone nowhere nearby, I frantically searched for the remote to kill the demonic sound until I realized my best option was to just unplug the speakers. You know what would have saved my eardrums? Buttons. Speaking of KEF’s app, it’s something of a mixed bag. On the one hand, I really appreciate how it lets you tune the speaker to your room’s acoustics. You can set whether the speakers are on a desk, near a wall, or properties of your room like its size or liveliness. These adjustments can make a dramatic improvement. But the app is occasionally buggy, and you’re forced to use a separate app to control the speakers than you do to stream music. This makes no sense. On the plus side, I experienced no connection dropouts when using the LSX in wireless mode, but I generally preferred using the included Ethernet cable to link the Left and Right speakers. Aside from a tiny boost in sound quality, it also kills any latency. The LSX’s wireless latency is usually negligible, but using the Ethernet cable made it low enough for me to be able to connect my piano. This is something I can’t do with the baked-in latency on the Sonos Play:5 or Google Home Max (the HomePod doesn’t have a wired input at all). It’s another boon for the LSX – they can be used for music creation, not just consumption. Okay, the sound. If you’ve never listened to a pair of hi-fi speakers, you’re in for a treat. The family resemblance with the LS50W is immediately apparent, and it’s a function of KEF’s proprietary ‘Uni-Q’ drivers. KEF’s claim to fame is its expertise in presenting a wide, realistic, and cohesive soundstage, and the LSX is no different. The soundstage emanating from the LSX is just that: realistic. At times, eerily so. Most of my testing was done with the LSX placed on isolation stands on the edges of my desk, a little over four feet apart. My apartment (like most people’s) is far from acoustically ideal, and with other speakers I have trouble achieving a believable ‘phantom center’ – that effect where centered voices and instruments sound like they’re coming from an invisible speaker in between the other two. But the LSX creates a phantom center better than speakers its size have any right to. In the opening number of Stephen Sondheim’s “Sunday in the Park with George,” Bernadette Peters walks from one end of the stage to the other – the LSX recreates the movement with no gap in the soundstage. Equally notable, the LSX creates a wide sweet spot that maintains the soundstage even if you move around a little. Most speakers stereo speakers fall apart as soon as you exit the sweet spot. This also makes the LSX adept for TV use. If you can afford $1,100 speakers, these will give you a more impressive stereo image than any soundbar I’ve heard short of Sennheiser’s $2,500 Ambeo. Much to my surprise, I found that in my near-field setup, I preferred the image coming from the LSX to my LS50W. While the latter are still impressive, they feel a little ‘smudged’ when placed too close. The LS50W’s speakers sound best placed between six and twelve feet in my apartment. The LSX on the other hand, seems to be just as good at three feet apart as it is at ten. And because it takes up much less space, the wider gap between the speakers contributes to the illusion of a phantom center. Soundstage aside, I expected the LSX to sound thinner and brighter than the LS50Ws due to the smaller woofers (4.5″ vs 5.5″). The opposite is actually true – though still cut from the same cloth, the LSX have a slightly warmer presentation. The treble is smooth and transparent, but more laid back than the LS50W’s. The LSX also can’t quite match the dynamics of its sibling when things get really busy. Both have a similarly transparent midrange presentation though, and while the bass on the LS50W reaches lower, it’s much less of a difference than I expected. The LSX doesn’t begin rolling off until 49hz – lower than most speakers its size, and many larger – and it sounds good at it too. 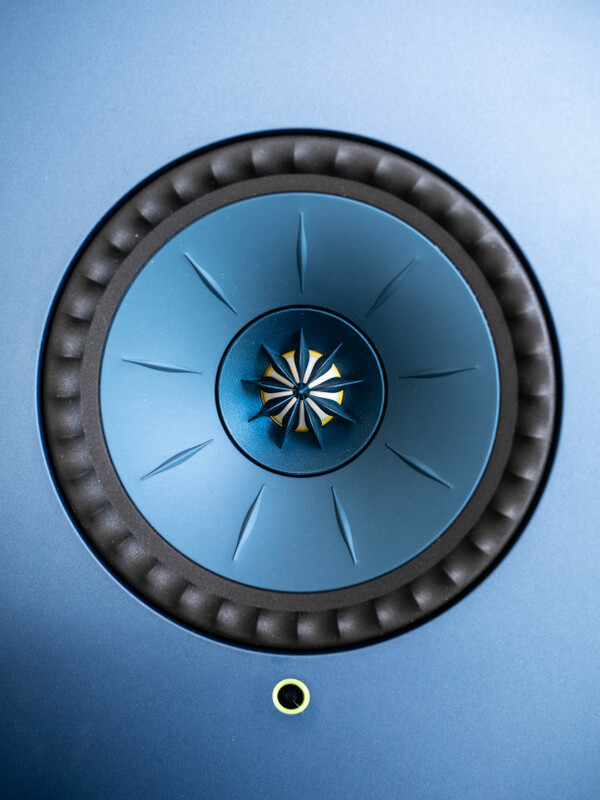 The bass is always taught and controlled thanks to some clever active DSP work by KEF’s circuitry. The LSX extends low enough – and hits with enough visceral slam – for almost any music made up of physical instruments. I suspect the LSX will only feel bass-shy to the biggest bassheads. If you do need more bass, the LSX includes a subwoofer output. I tested KEF’s Kube 8b subwoofer along with the LSX, and it gives the low end more authority than I’d ever need in a small apartment. Most people really won’t need one. But the subtler benefit of adding a sub is that it frees up the LSX’s drivers for handling the rest of the frequency range, regaining some detail and dynamics during busy tracks. I compared the LSX with a sub to the LS50W without one, and I would generally choose the former – and still save some cash while at it. (Of course, the LS50W with a sub is even better). To be clear, I don’t consider the LSX to be a peak performer in all respects for its price. The coincident driver arrangement may be ideal for soundstage and coherence, but it doesn’t necessarily provide more detail over cheaper hi-fi with a traditional driver arrangement. I tested the much cheaper Q Acoustics 3020i ($299) and Bowers and Wilkins 607 ($600) at the same time as the LSX, and they were pretty much on par with the LSX’s reproduction of higher frequencies. The Q Acoustics even had a similarly realistic soundstage when positioned just right, and I preferred its tuning out of the box. Meanwhile, a pair of Sonos Play:5s or a single Devialet Phantom Reactor can dig deeper into the bass. So no, the LSX isn’t the perfect speaker. It straddles the line between hi-fi and mainstream, and it makes some compromises for it. Functionally, its lack of physical controls is occasionally infuriating, its dual apps are unnecessary, and I would gladly take Google Cast over Spotify Connect or Tidal. Acoustically, I’d prefer a little more treble presence, and you shouldn’t expect it to fully match the transparency and dynamics of its bigger sibling. Depending on what you’re looking for, you might even prefer a traditional set of passive speakers. Audio is, as always, partly subjective. But taken as a whole, there is nothing I can think of that can match the LSX’s combination of size, design, inputs, convenience, and sound. It has the best soundstage I’ve heard at the price, with oodles of detail and bass too. In a near-field setup, especially with a sub, it might even be better than the venerable LS50W. Point is, if you have $1,100 to spend on stereo speakers, the KEF LSX should be at the top of your list.